Police fired Tasers at children as young as 13 and dozens of dogs in last three years | C.O.B.P. Police have fired Tasers at children as young as 13, elderly people and dozens of animals in the last three years, Sky News can reveal. 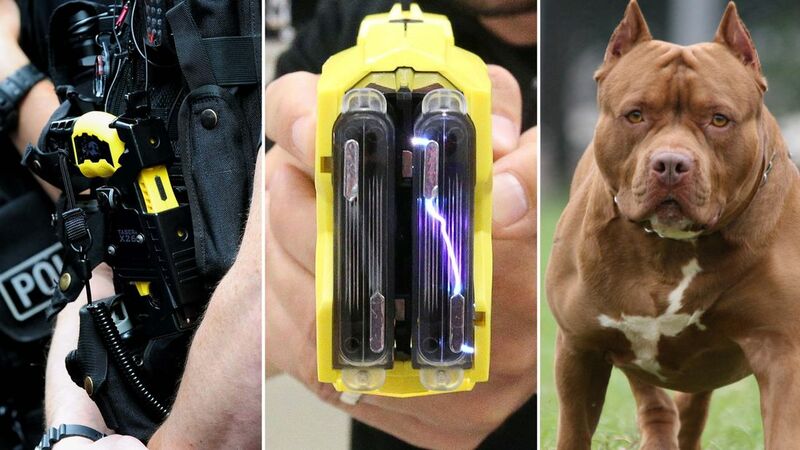 A 77-year-old pensioner and at least 37 dogs were hit by the 50,000-volt stun guns between January 2016 and November 2018, according to data released by UK forces. Campaigners warned police that Tasers are not "toy guns" and urged officers to stop firing them at children, saying young and elderly people are more at risk of serious health problems and even death from the weapons.